The MBA Artificial Intelligence (AI) Management Concentration at TUW provides students with a unique blend of necessary skills and knowledge to pursue a management career in companies venturing into the AI arena. In this concentration, students have an opportunity to learn about specific organizational and managerial implications of AI on the business strategy and management, the challenges of delivering AI technologies, and the steps executives need to take to develop a strategy for their company. 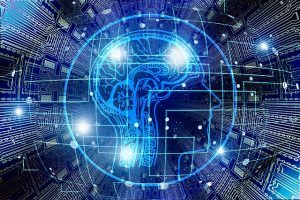 The time to identify and strategies artificial Intelligence for your company is fast approaching as the technology is been developed in light speed and many companies are already using the technology to get comparative advantage on competitors. AI has implications for management and organizations. The concentration addresses those implication and provides students with the tools they need. During your study students will take a deep dive into the challenges AI can bring into the organization has well as the economic, ethical, business model and impact of AI technologies on the business.